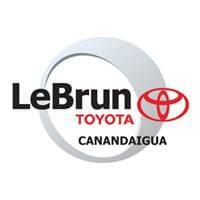 Make LeBrun Toyota your destination for a regular oil change on your vehicle. Fill out the service form by clicking the button below to get your next appointment in our books. If you have any questions, don’t hesitate to call our service department at (585) 394-5280. Let our certified and highly experienced technicians make your vehicle run at it’s highest performance!